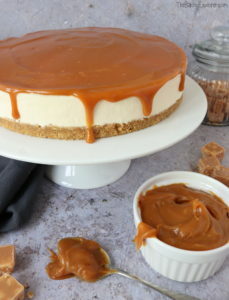 I’m a bit obsessed with salted caramel at the moment… ever since I made my Salted Caramel Cheesecake I’ve been wanting to making something else with the same flavour. 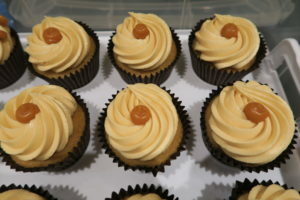 So I came up with these Salted Caramel Cupcakes – I’ve put light brown sugar in the sponge to give it a caramel flavour, the buttercream has a salted caramel flavouring in it, then they’re filled with salted caramel sauce, topped with a bit more of the sauce and also some salted caramel fudge! They are a salted caramel explosion! 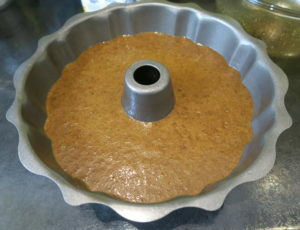 To make the sponge I started by creaming together the butter and light brown sugar, then I whisked in the eggs. 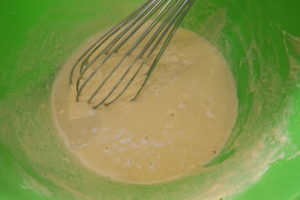 Then I added the self raising flour and whisked until smooth. I divided the mixture between the cupcake cases, and baked them for 25 minutes until golden. Once the cupcakes were fully cooled I used a cupcake corer to make a hole in the centre and I filled it with salted caramel sauce. I mixed up a buttercream using butter, icing sugar and a salted caramel flavouring extract. 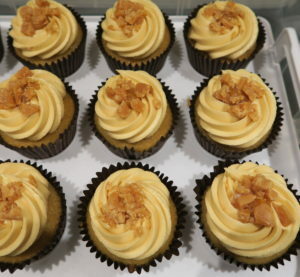 I piped it onto the cupcakes, then added a blob of salted caramel sauce in the centre and topped them with some chopped up salted caramel fudge. 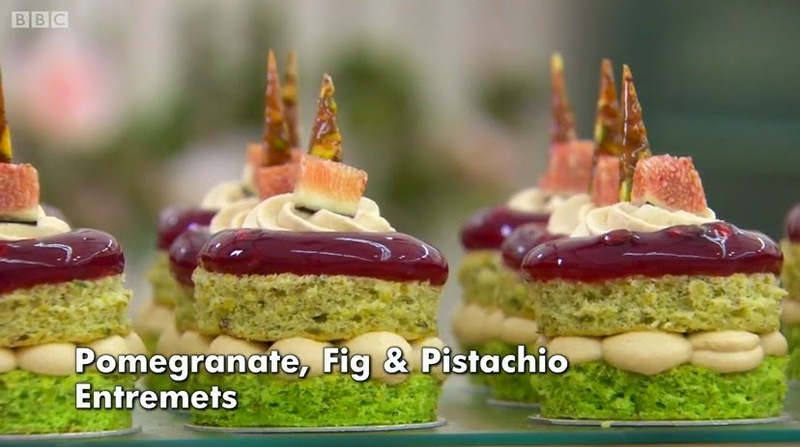 The nozzle I used for these was Ateco 829, of course you can use any nozzle you like to pipe the buttercream on. You could also decorate them with sprinkles, or those little fudge pieces you can get in the baking aisle. And there’s always the option of drizzling salted caramel sauce all over the buttercream too! My boyfriend and his friends absolutely loved the Salted Caramel Cupcakes and scoffed up most of them even though it was before noon! Always a good sign! I’m linking this recipe up with Recipe of the Week hosted by A Mummy Too, Cook Blog Share hosted by Everyday Healthy Recipes, Bake of the Week hosted by Mummy Mishaps, and Fiesta Fridays hosted by Spades, Spatulas & Spoons. Sprinkle the fudge over the top and dig in! When I make a recipe with a certain flavour component that is very well known, I like to do a bit of research on how the flavour become so popular. I find food trends very interesting, so I really enjoy finding out more about their invention and their route from inception to world wide phenomenon. I found an interesting article about salted caramel, which I recommend reading if you are as geeky as me! 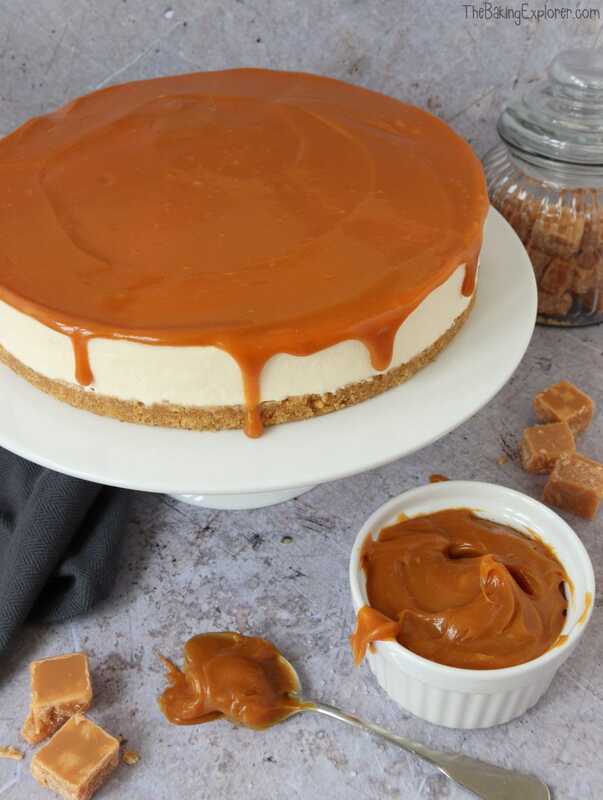 This Salted Caramel Cheesecake is infused with caramel flavour and a hint of salt, then a rich luxurious salted caramel sauce is drizzled all over it. I used a shop bought sauce as there a so many good quality ones available now, but of course you can make your own too if you like. To make the base I used my food processor to whizz up the biscuits into crumbs. 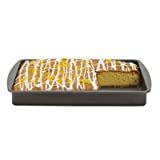 I mixed in the melted butter and pressed the mixture into the bottom of a 23cm springform tin. I put it in the fridge for 30 minutes to set. 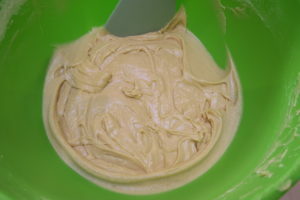 For the cheesecake filling I used my electric hand whisk to mix together the cream cheese, icing sugar, caramel extract and salt. 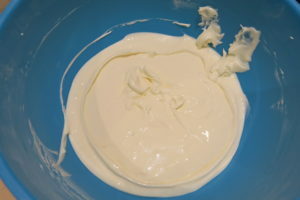 Once it was smooth with no lumps I added the double cream and whisked until it was very thick and held it’s shape. 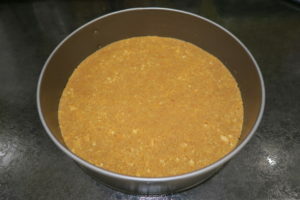 I smoothed the mixture into the tin on top of the biscuit base, then put it in the fridge overnight to set. 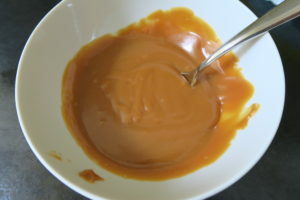 To decorate, I put the salted caramel sauce in a bowl and microwaved it for 30 seconds so it is more runny, then I let it cool for 5 minutes. I poured the sauce over the Salted Caramel Cheesecake and let it spread and drip down the sides. I used my palette knife to smooth it out and push it to the edges to create those drool worthy drips! The Salted Caramel Cheesecake was absolutely decadent and luxurious. 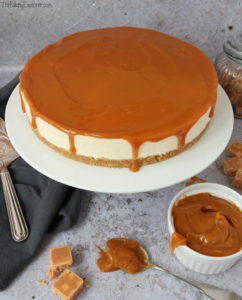 The creamy cheesecake and salted caramel sauce combined to make such a gorgeous flavour! 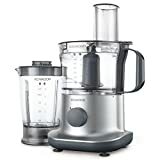 I’m linking this recipe up with Recipe of the Week hosted by A Mummy Too, Cook Blog Share hosted by Everyday Healthy Recipes, Bake of the Week hosted by Mummy Mishaps, and Fiesta Fridays hosted by Dragonfly Home Recipes. I’m going to make a big statement here… I honestly think these Salted Caramel Egg Brownies are one of the best things I’ve ever made! They are absolutely heavenly and I could eat them every day! The chocolate brownie is the perfect level of gooeyness and fudgeyness, it’s filled with salted caramel sauce, and each piece is topped with half a Cadbury’s Caramel Egg that I’ve sprinkled some sea salt on. My mouth is actually watering as I type this, I’m not kidding! Go and make these Salted Caramel Egg Brownies immediately – you will not regret it! 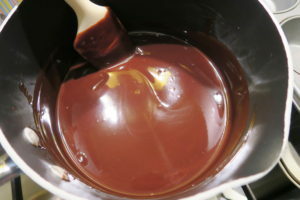 I started by melting the dark chocolate and butter together in a pan on a low heat. I let it cool for 5 minutes. I added the chocolate mixture to the egg mixture, whisking constantly as I poured it in. Then I added the plain flour, cocoa powder and baking powder. I poured the batter into a lined traybake tin, then added blobs of salted caramel sauce all over. While it baked for 20 minutes, I cut the Caramel Eggs in half and sprinkled coarse sea salt over them. I took the brownies out of the oven, pressed the eggs in, then they went back in the oven for another 10 minutes. I let the brownies cool completely before removing from the tin and slicing up. If you like chocolate and salted caramel (does anyone not?!) 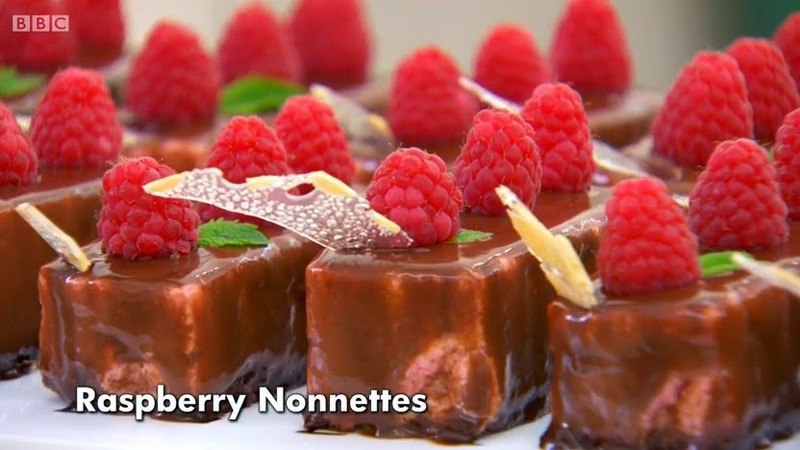 then get ready for sheer heaven as you tuck into these beauties. I’m linking this recipe up with Recipe of the Week hosted by A Mummy Too, Cook Blog Share hosted by Recipes Made Easy, Baking Crumbs hosted by Only Crumbs Remain, and Fiesta Fridays hosted by Love Food Eat and Food For The Soul. Bake for 20 minutes. While it is baking, cut the Caramel Eggs in half and sprinkle coarse sea salt over them. There will be one extra half - the perfect snack for the chef or a nearby child! Attempt to share them - this is a tricky one! I’m looking forward to Christmas more than usual this year as it is looking quite likely that I’ll be celebrating it in our very own home! And hopefully with a slice of this Chocolate, Salted Caramel & Chestnut Yule Log! I’ve been renting since I left my parents at 18 and more years later than I’d like to count, I’m finally buying my own home with my boyfriend. I can’t wait to put the Christmas tree up, make the place our own and most of all get baking in our new kitchen! All going well, we will be in there in 2 weeks time, keep your fingers crossed for us! I recently received the first issue of Baking Heaven, which is a monthly magazine subcription from Magazine.co.uk. 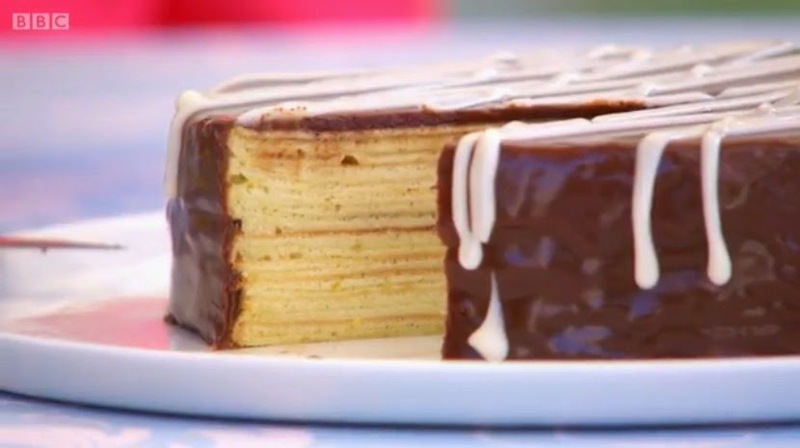 It is packed full of sweet and savoury recipes and it certainly lives up to it’s name! When I flicked through the magazine to decide what to make I was immediately drawn to this Chocolate, Salted Caramel & Chestnut Yule Log. With it’s combination of salted caramel, chocolate and chestnuts it sounded like festive perfection. 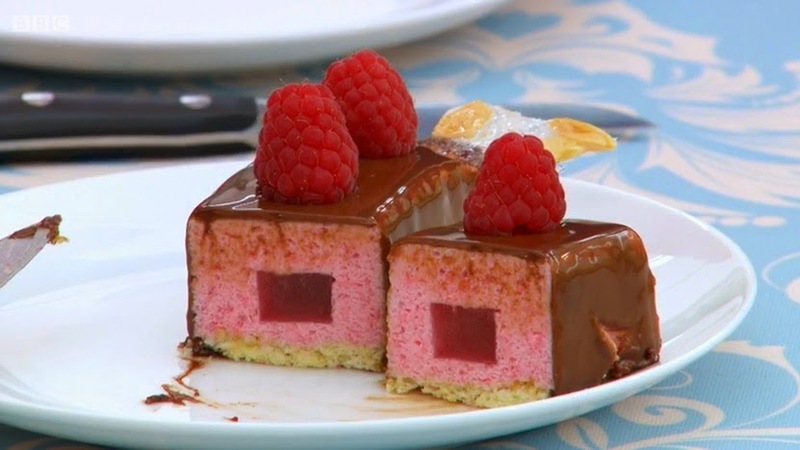 It is taken from Gizzi Erskine’s new book Season’s Eatings and is something a bit different from the traditional Yule Log. 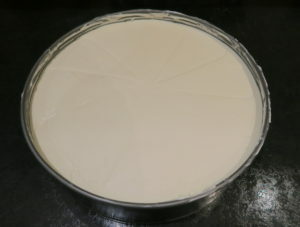 I started by greasing a lining a lipped baking tray, the recipe recommends using a 33x23cm tin, but as mine was larger I increased the sponge recipe by a third to make up for this. I’ll only put the ingredients for the recipe as stated though. I whisked up eggs with caster sugar in my food mixer for 8 minutes until it had trebled in size. I sieved out plain flour and cocoa powder into a bowl and then folded it into the egg mixture. 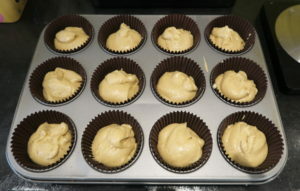 Then I poured the batter into the tin and tipped it to spread the mixture out into each corner. It baked on 190C/170C Fan/Gas Mark 3 for 12 minutes. 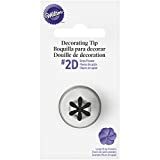 I immediately tipped it out onto another sheet of baking paper and rolled it up, rolling the fresh sheet of baking paper with it. The recipe didn’t suggest to do this, but having made many swiss rolls in the past, I thought this was the best thing to do and I do recommend it! Then I left it to cool fully on a cooling rack. I then made the chocolate icing by putting double cream, butter and dark chocolate in a pan and gently heating it until it all melted together. I put it in the fridge to chill for at least 30 minutes. 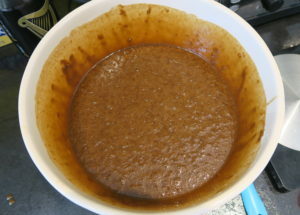 For the filling I started by making a caramel, I put caster sugar into a frying pan and left it without stirring it until it was golden and bubbling. I added butter, double cream, vanilla extract and salt and quickly mixed them in. I then poured the caramel into a bowl, added chestnuts and whizzed it up into a smooth paste using a hand blender. Let it cool to room temperature. I whipped up double cream with icing sugar, then folded it into the cooled caramel and chestnut mixture. I unrolled the sponger and spread the caramel filling all over it evenly. Then I rolled the sponge back up carefully. I took the icing out of the fridge and spread it all over the roll. I did it quite roughly as the roll was meant to look like a log. Then I bashed up 1 flake bar and sprinkled it all over the wet icing. I put it back in the fridge to set. I finished the Chocolate, Salted Caramel & Chestnut Yule Log by adding some redcurrants and dusting it with icing sugar. I’ve never actually eaten redcurrants before, they look very pretty and taste very inoffensive, however they are quite full of seeds despite their small size. 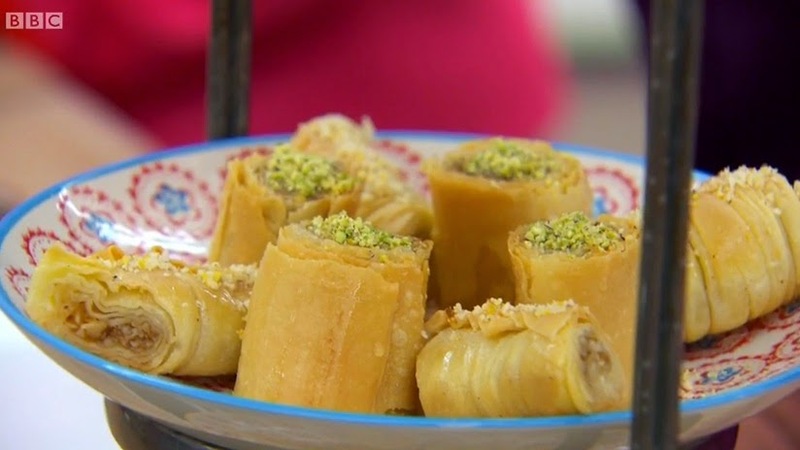 You can choose to decorate the roll with anything you like, I suggest a sprig of holly, edible gold glitter or a liberal dusting of icing sugar! This Chocolate, Salted Caramel & Chestnut Yule Log was the perfect taster of Christmas treats to come, the filling had a salty caramel flavour, the sponge was light and soft, and the dark chocolate icing was melt in the mouth divine. I really enjoyed every bite! I’m linking this recipe up with We Should Cocoa hosted by Tin & Thyme, with the Sunday Fitness & Food Link Up hosted by Ilka’s Blog and Marathons & Motivation, Cook Blog Share hosted by Sneaky Veg, and Recipe of the Week hosted by A Mummy Too. NB. I have received the subscription to Baking Heaven free of charge, all opinions are my own. Last night I had a party for my 30th birthday, and these Salted Caramel Popcorn Cupcakes were such a hit I had to share the recipe! For the party I also made two Chocolate Guinness Cakes with Baileys Buttercream (my absolute favourite cake! ), some Cheese & Red Pepper Muffins, and some Rocky Road. 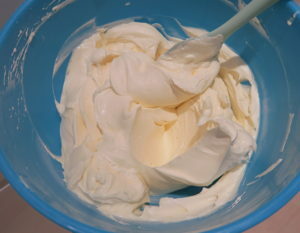 To make the cupcakes I creamed together butter and caster sugar. I added eggs, one at a time, mixing between each addition. Followed by vanilla extract. Finally I stirred in self raising flour. 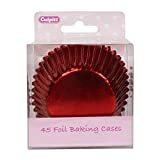 I put the cupcake batter into cupcake cases and baked them for 20 minutes on 180C/160C Fan/375F/Gas Mark 4. Once the cupcakes were cool I used a cupcake corer to make a hole in the centre of each one and filled it with Carnation caramel that I had mixed salt into. I made the buttercream by mixing together butter, icing sugar, Dr Oetker Caramel flavour, and salt. I used a piping bag and nozzle to swirl the buttercream onto each cake. Then I got a bag of toffee popcorn and stuck it all over the buttercream. Finally I sprinkled some gold edible glitter all over the Salted Caramel Popcorn Cupcakes! 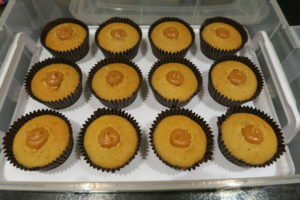 The Salted Caramel Popcorn Cupcakes looked really attractive and were the first item on the cake buffet to disappear. I’d only decided to make them at the last minute, so I’m glad I did. 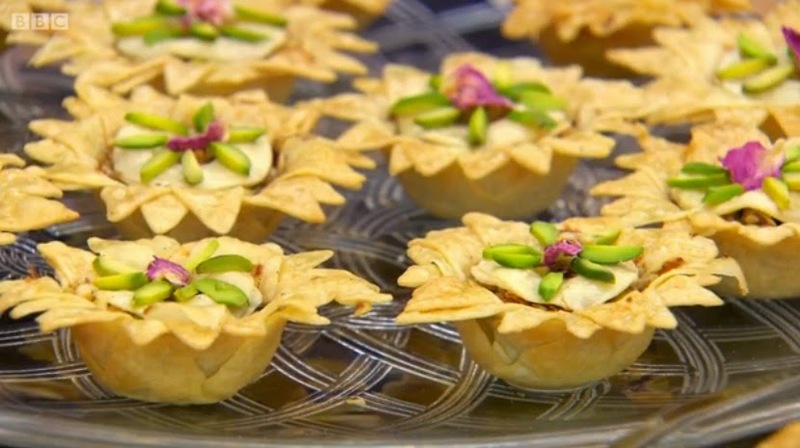 They are so yummy and the hidden centre is an indulgent surprise! 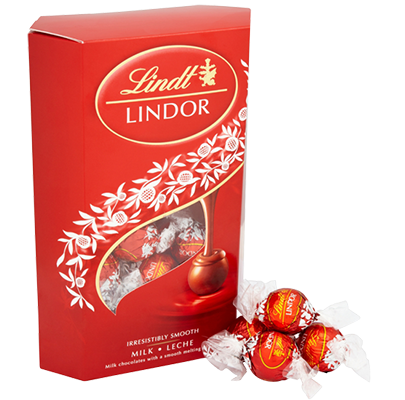 My mum loves Lindt Lindor, they are her absolute favourite chocolates and I can always guarantee that getting her a box of them will go down well on any occasion. As it’s Mother’s Day this weekend I wanted to surprise her by baking Lindt Lindor Cupcakes. I added Salted Caramel Buttercream as she loves salted caramel too. I got the idea after seeing A Life Of Geekery‘s post, she uses the caramel Lindor and a pre-flavoured icing sugar. I’ve made mine differently, but the results are equally as yummy! First things first, I put my Lindt Lindor in the freezer for at least 1 hour. 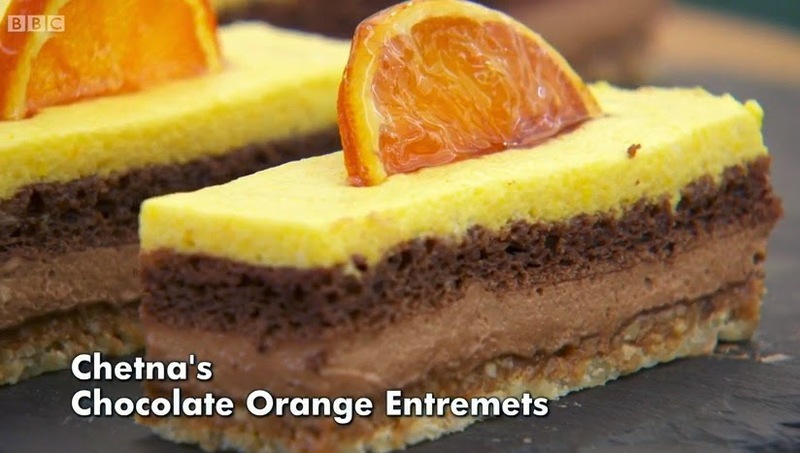 I learnt this trick when I made Creme Egg Cupcakes last year. 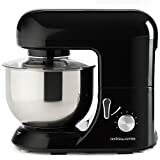 I started by making a simple vanilla sponge by creaming together butter and caster sugar, adding eggs and vanilla extract and whisking in. Finally I folded in self raising flour. I divided the batter into the baking cases, then placed the frozen Lindt Lindor (I used the red wrapper kind) in the middle. 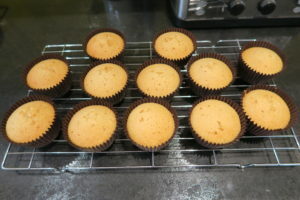 The cupcakes baked for 20 minutes. To make the buttercream I mixed together butter, icing sugar, Dr Oetker Caramel flavour, and salt. Add some salt and test the flavour, see if you like it, as I’ve noticed different people like different strengths of salted caramel. Or you can leave it out if you don’t like salt in it at all. I piped the buttercream on top of the cooled Lindt Lindor Cupcakes, then added another whole Lindor on top and a sprinkling of edible gold glitter! Of course I had to test one before giving them to my mum… I cut one open and the Lindor chocolate hadn’t quite done what I expected. It melted and created a delicious chocolatey bottom to the cake! 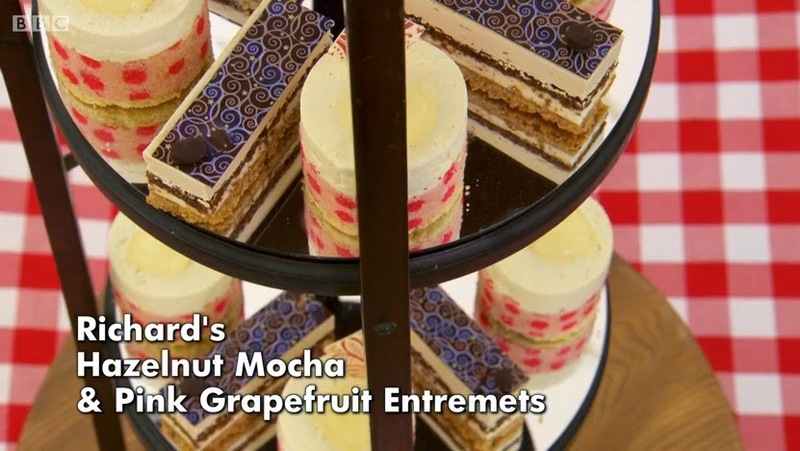 As for the buttercream…drool! I put the Lindt Lindor Cupcakes in a decorative box and jumped straight in the car to take them to my mum. She loved the surprise and said the cakes were ‘amazing, divine and yummy’. Definitely a winner then! My boyfriend had one too and made lots of ‘yummmm’ noises whilst he gobbled it up. The night’s are drawing in and getter darker, which makes me feel excited for Halloween, Bonfire Night and Christmas, but I really do miss the light nights! Well this Gingerbread Bonfire Cake is all about darkness anyway. Made with treacle, dark brown sugar and some Guinness for good measure. It was described as ‘Bonfire Night in a cake’ by my colleagues which is why I titled it appropriately. It really is the perfect cake for this time of year. I started with the salted caramel sauce as it needs time to cool and thicken up. In a pan I melted butter. Once melted I added dark brown sugar and double cream. I kept stirring and let the sauce bubble for 5 minutes. Then I added vanilla extract and salt. I poured it into a bowl and cooled it in the fridge. It took a good few hours to thicken up. If you don’t fancy making the sauce you can of course use a shop bought one! In a bowl I whisked together Guinness (you could also use another dark stout), black treacle, dark brown sugar, vegetable oil and eggs. 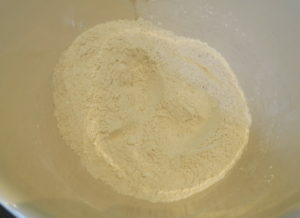 In another bowl I sifted together flour, bicarbonate of soda, ground ginger, cinnamon, nutmeg and salt. 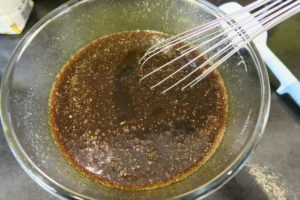 Then I added this to the wet ingredients and mixed in. 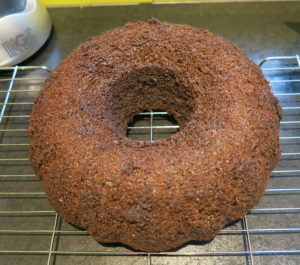 To bake the cake I used a ring shaped bundt tin, you can easily pick one up if you don’t have one. 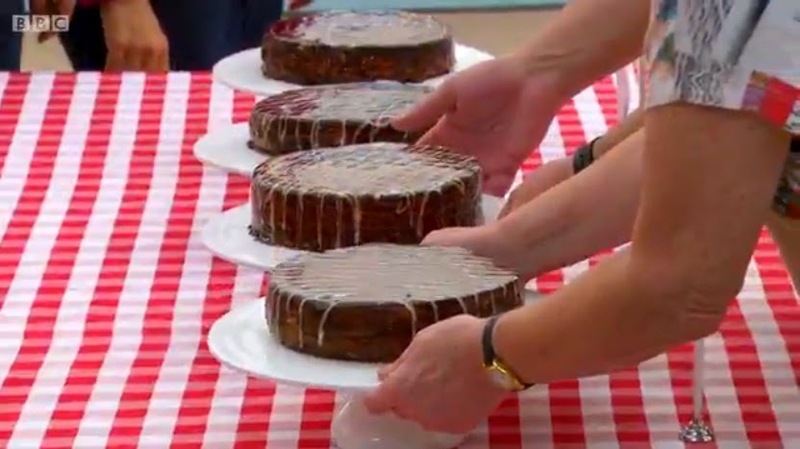 I greased it with vegetable oil to ensure the cake didn’t stick. It baked for 45 minutes until it was a deep rich brown and a skewer came out clean. I let it cool for 5 minutes then tipped it out of the tin, then I left it to cool. To decorate I smothered the cake with caramel sauce, then added chopped crystallised ginger on top for extra spice and a lovely crunch. The Gingerbread Bonfire Cake is a really moist cake, full of warming smokey flavours and the rich caramel sauce is to die for! Salted caramel is all the rage right now and although I may be a little late to the party in finally making something with these opposing flavours, this Salted Caramel Fudge was worth the wait! It’s sweet, it’s salty, it’s melt in the mouth, it’s delicious! 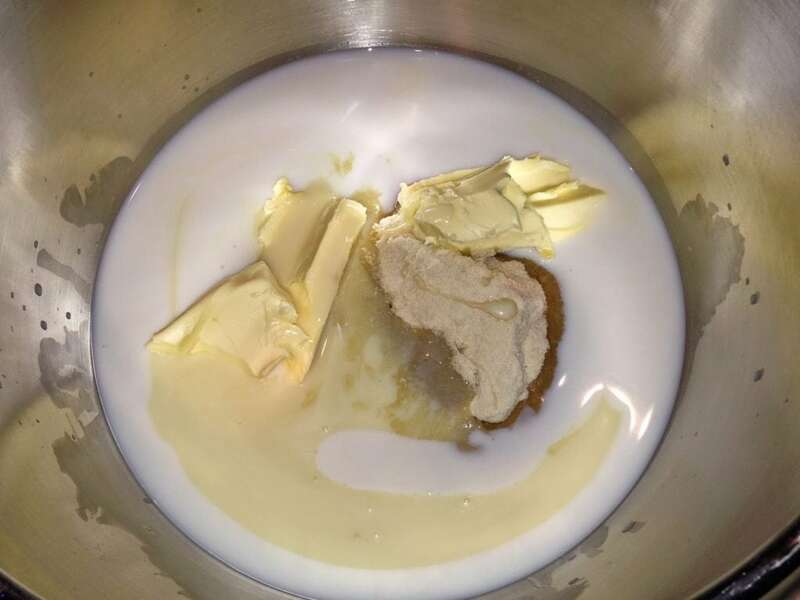 In a large heavy bottomed pan I put condensed milk, semi skimmed milk, butter, granulated sugar, and golden caster sugar. I heated it on low until all the sugar had dissolved. Once the sugar was completely dissolved, I turned up the heat and let the mixture boil for 10 minutes. I kept stirring it during this time. 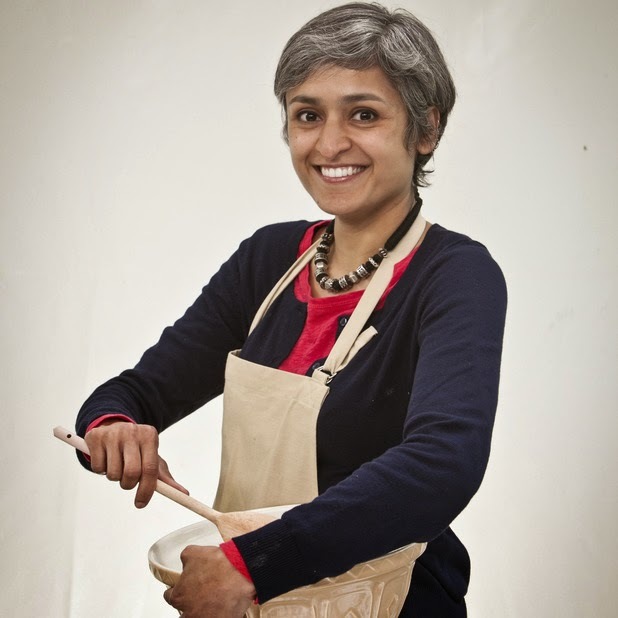 I beat the mixture until it started to set, then poured it into a prepared pan lined with greaseproof paper. Then I sprinkled sea salt over the top, I didn’t measure the amount I used, this part depends on how salty you like it! I gently pressed the salt into the fudge to make sure it stuck. I left the Salted Caramel Fudge overnight to set and the next day I cut it up into pieces. It was very tasty and melt in the mouth! The saltyness balances out how sweet the fudge is. Fudge is great for giving as a gift and I have given it out at Christmas and for Valentine’s Day before. This Salted Caramel Fudge went to a friend for her birthday, to my Dad and stepmum, and then the leftovers were enjoyed by myself and my boyfriend. You get at least three decent sized gifts out of this batch. Perfect for Christmas! Recipe adapted from Honest Cooking. You can find more of my Fudge recipes by clicking here!